Happy Monday everyone! 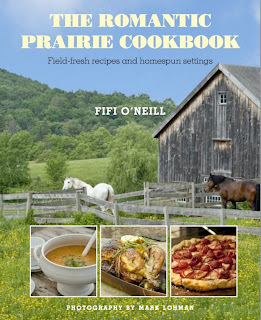 Pleased to share with you two of my FAV books of all time~Romantic Prairie Style and The Romantic Prairie Cookbook~both books written by my friend Fifi O'Neill. 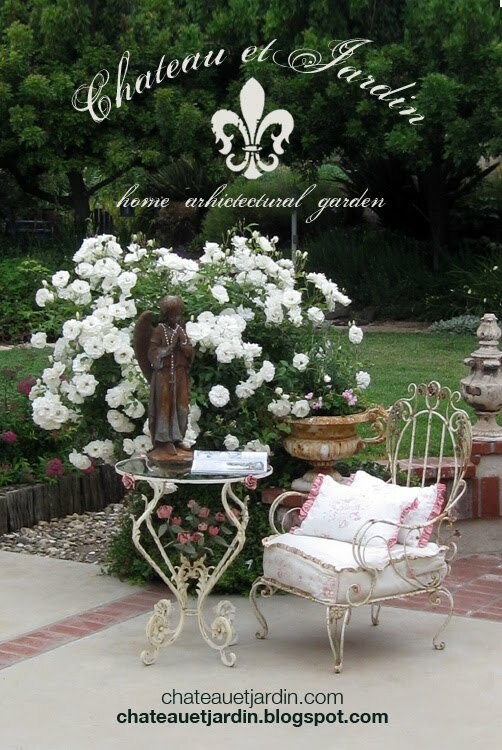 Available now in a limited quantity at American Home & Garden in Ventura CA. 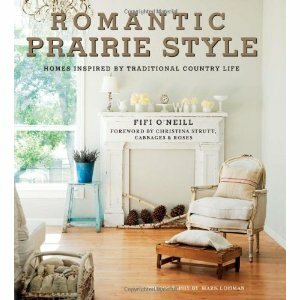 Romantic Prairie Style embraces simple pleasures, comfort, and the long-cherished ideals of natural beauty, simplicity, and harmony with the earth. 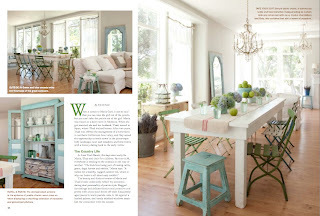 It's a style that says home wherever you may be because, more than anything else, it's a mindset: gentle but strong, welcoming and lasting, durable yet sophisticated, and, above all ,áreal. Over the centuries, the humble dwellings built by European immigrants to the United States in the 1880s have evolved into sturdier, more comfortable homes, which took on a variety of designs-ranch, cabin, farmhouse, cottage, or adobe. Each plays a role in prairie style and its enduring aura of romance and nostalgia .áHere interiors have the heart-warming authenticity of simple, natural textures, hand-hewn beams, bleached wood, weathered planks, woven blankets, cow-hide, and Navajo rugs. 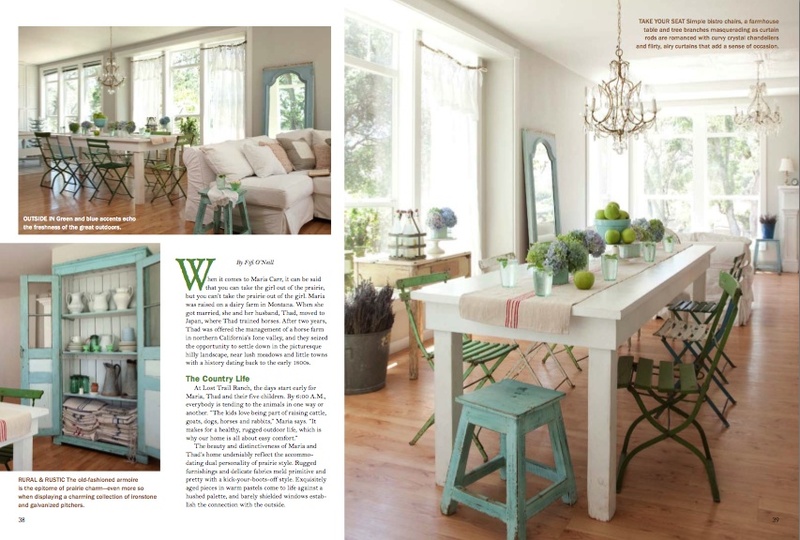 It's a style inspired by the honesty of homespun materials of the past wedded to a flair for the present. It's flower-sprigged brocade, tawny leather, crisp eyelet and soft linen, corduroy with crochet trims, woolen plaids, cozy flannel, and wispy organza. It's history retold and all about the enduring connection between people and places and the nostalgia we feel for a rural country life as embodied in Laura Ingalls Wilder's The Little House on the Prairie. - Stunning photography from a range of never-before-photographed locations. - This is a style that speaks of romance and nostalgia. A unique collection of recipes that are a true reflection of the traditional prairie way of life, where the flavorful, hearty dishes that appeared on the table featured ingredients picked only a few hours ago from the vegetable garden or gathered from the adjoining fields. The Romantic Prairie Cookbook champions environmental harmony and celebrates the land by using homegrown flavorful ingredients taken directly from fields to table, as was customary centuries ago when living off the land and home cooking were essential to survival. This time-honored tradition brings to the forefront the unique talents of a collection of artisanal qualities-from gardening to harvesting, baking, cheese making, preserving, pickling, and more. 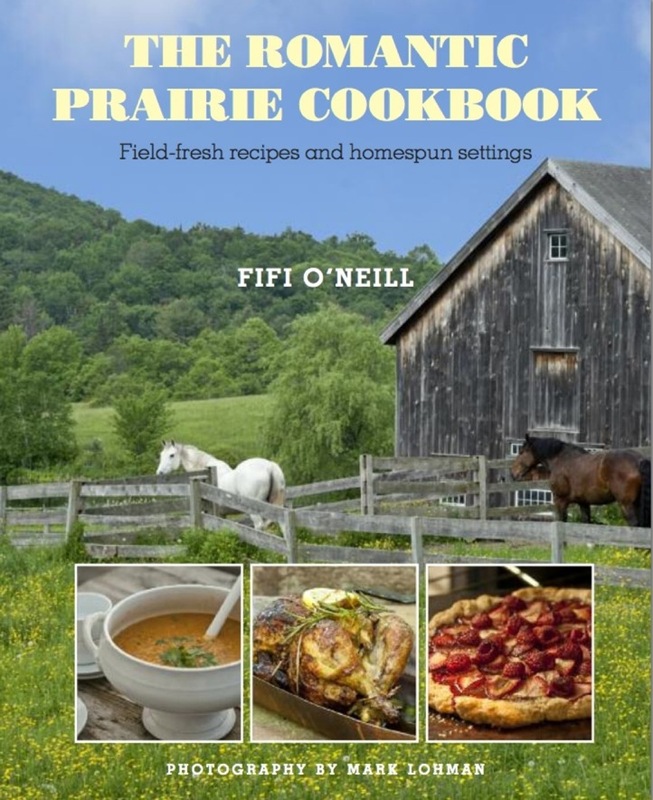 Author Fifi O'Neill has traveled from farm to farm, homestead to homestead, gathering together this unique collection of recipes that are a true reflection of the prairie way of life. These recipes, steeped in the modest but imaginative and hearty heritage of the prairie, showcase the home cooks' and artisans' passion and respect for creating healthy, tasty, and satisfying dishes. Here you will find recipes to suit all occasions, from picnics to enjoy in the height of summer to warming dishes to ward off winter chills, from springtime delights that celebrate the return of fresh produce to suggestions for making the most of an abundant autumnal harvest. There are recipes that have been handed down through the generations, and new twists on old classics. Whether you grow your own fruits and vegetables or enjoy buying seasonal, local produce from farmers' markets and roadside stands, The Romantic Prairie Cookbook is sure to include recipes to inspire and dishes that will soon become your own family favorites. I wonder how I might order Jeanne D'Arc Summer Issue? 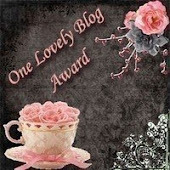 So glad to have found your blog btw.. Love it and am going to put on my blog list..
Hello, thank you so much. You can always pick one up or we can mail you a copy. I usually sell out by the 15th of the month so best to call or email me by the 1st of each month. I just sent you a private message and we will get you taken care of! Hi Kathee, I love Fifi's book. I got it for Christmas. It's one of my faves. Maybe I'll get in to check out the cookbook too. Oh, I love her decorating book! Haven't quite seen the cook book yet, but it sounds great.